A simple and essential English teaching guide for those wanting to understand/teach punctuation and grammar for years 1-6 (not intended as a replacement for English teaching resources). This teacher’s reference includes ‘word types’ with the definition and an example for each one. You will also find a spelling list per year in shaa Allaah. Also included is a reading book example for year/grade 1 (one of which is highlighted where the punctuation rules have been used for that year). Please share, subscribe and comment! A set of illustrated Arabic puzzles with the English translation to help your child learn new vocabulary. Can also be used with the Madinah Arabic collection of books. Let your children enjoy practicing their writing skills in both Arabic and English. An essential book for preschoolers and up to first or even second grade. Includes pictures to colour in and short sentence examples for each letter/word. ‘Bingo’ is a fun game in which players mark off numbers (in this case letters or words) on cards as they are drawn randomly by a caller, the winner being the first person to mark off all the letters/words on their card. Use this resource with the previous post ‘Phonics, Words & Picture Mats‘. Simply download the file, print, laminate and cut up as cards or counters then of course, play bingo! A set of fun and educational phonics mats (or cards) for children learning to read or write. Phonics is a simple method of teaching the alphabet by using sounds with symbols in an alphabetic writing system. And enjoy a game of bingo as a fun way to test your child’s progress. Begin by introducing the alphabet mats in lower-case letters, then the upper-case letters. Progress to phase 2 and work your way up to phase 3, 4 and 5 in which your child will become more fluent and confident in reading independently in shaa Allaah. Children learn best when they are having fun, praised for their efforts and work at their own speed and style. This resource allows children to enjoy reading with the help of the short words/nouns, simple sentences and fun pictures. With the easy yet challenging set of 40 puzzles, your child will have fun matching the sentences to the correct picture. Lots of praise and encouragement and of course dua! Introduce each noun by focusing on the first letter and by reading it together as one word (slowly) rather than seperately, e.g say ‘b-b-baaag’ instead of ‘buh-ah-guh’. Also, try getting your child to read out loud and write the 3-letter nouns. This resource can be used to enjoy making up sentences in order. The coloured rectangle cards represent a different word categorie (noun, verb, noun). Let your child advance their reading skills with this resource as they enjoy making up simple and funny sentences. ‘Now I know my A, B, C’ is an English Alphabet Book made to introduce the Alphabet in a fun and easy way. It encourages children to pronounce the sound of each letter (phonics) by using large letters (both capital and small) along with colourful illustrations. This book also helps with letter recognition. Alternatively, you can use this pack as floor mats or floor puzzles and various other activities as you like. *Remember to set your printer to ‘borderless’ and ‘two sided’ for best results inshaAllah. Inspired by the style of the english reading books I own, I felt like there was a need for muslim mothers out there (including myself) to be reading stories like this one to our children. The book is aimed at anybody who is beginning to read as it gradually introduces new and repetitive words. Books like this will keep our children educationally satisfied as well as raising them to be more familiar with Islamic names and surroundings within our English teachings inshaAllah. Over the past few months, a group of homeschooling mothers and I have come together to organise a weekly meet up where our children get together and simply free play. Originally, the purpose of our meet ups were nothing more than just ‘playdates’ for our homeschooled children to allow them to socialise, do basic activities as a group and just support one another on our homeschool journey. What started out as ‘playdates’ has recently turned into something way more productive and beneficial for both mothers and children Alhamdolillah. You can use this curriculum as a group or simply on your own. So far both children and mothers have been very pleased with it. So we wanted to share the success with other mothers like yourself. Most of what takes place in our home-nursery are taken from the ‘Letter of the Week Activity Book’ and the ‘Preschool Maths Activity Book’ where you can download on this website for free. We use the preschool maths book mainly as a guideline as we prefer to do more hands on activities and there are just so many out there walhamdolillah. The learning objectives within our activities include; basic practical life skills, phonics learning, maths (counting colour/shape/size sorting), sensorial, fine/gross motor skills, exploring, creativity, social, fitness etc. Each mother encourages and supports their children (socially and educationally) and while the children learn at their own paste and mothers observe their unique ‘learning style’. The children’s work are also taken home to build their own Homeschool portfolios. We also have have regular group meetings over the phone where we offer one another extra support, recommend new ideas and voice other concerns. Circle Time – We begin (and end) every lesson with ‘circle time’; this starts with the remembrance of Allah where we teach the children to begin the gathering by calling upon Allah and sending peace upon the Prophet (salAllahu alayhi w sallam), we then spread the greetings of ‘Salaamu alaykom’ and encourage each person to shake hands with everybody in the room. Next, we remind the children that Allah made everything, mention what letter of the week it is and how many things they can mention that Allah made beginning with that letter. An introduction to what will take place that day will be given just after we all say the alphabet (with no music) and count to 20 or as much as the children are able. Upon completion of our day, every child is rewarded with a sticker to place on their reward chart which they stick on themselves. ‘Letter of the Week’ Theme – Each week, we introduce a new letter of the alphabet in alphabetical order. There are two meetings in a week; First meeting consists of Languages and Maths Activities, Second meeting has 3 options to choose from of various activities related to that letter; food, outdoor or arts. If, for whatever reason, work is not complete during playdate hours then children take their work home to complete there. *There are 4 pages for each letter from the ‘Letter of the Week Book’ and we spend no more than 10 or 15 minutes per page then up to an hour doing various maths activities, the rest of the day the children are left to free play. For our second meeting (which consists of 3 different topics; Food fun, Outdoor Fun and Arts) we have the option to pick 1, 2 or all 3 of them that day depending on our time, for example if we want to do all 3 topics then we would start the day with Art then plan Food fun for a lunch then go out for the rest of that remaining day. Some days may require a trip to the Aquarium which will take up the whole day so we would find time at home to complete arts or just move on from it which is absolutely fine. Meetings – At the end of each week or when necessary, a group meeting is held to discuss any concerns as well as planning. This program is a really simple approach, it’s all a matter of reading through this planner and spotting the pattern of how things are done, the only change is literally the change of letter that week. Lots of dua to Allah! We hope you enjoy this curriculum and please do let us know how you and your children get on inshAllah. May Allah make it easy for us all, increase us in His remembrance and tawwakul and make our children the COOLNESS of our eyes, Ameen! The ‘Letter of the Week’ Activity Book is designed for preschoolers in order to introduce them to the alphabet. This is a very straight forward and fun way of learning the alphabet that helps encourage preschoolers to develop their fine motor skills and creativity. A great resources to use along with other activities inshAllah. *If you feel that your toddler is not ready for the Activity Book, don’t worry, we haven’t left you out. Please help yourself to the FREE pre-writing ‘Dot-to-dot’ activity Worksheets where they can practice all they like. Allow your child to use colourful marker pens or scissors and for extra fun for your child, put images at the start and end of each line or zig zag e.g start = toothbrush, end = tooth. (Be sure to laminate worksheets for multiple usage). ‘My First Arabic Curriculum’ is a complete Toddler’s Curriculum made by UmmAssadHomeSchool.com. 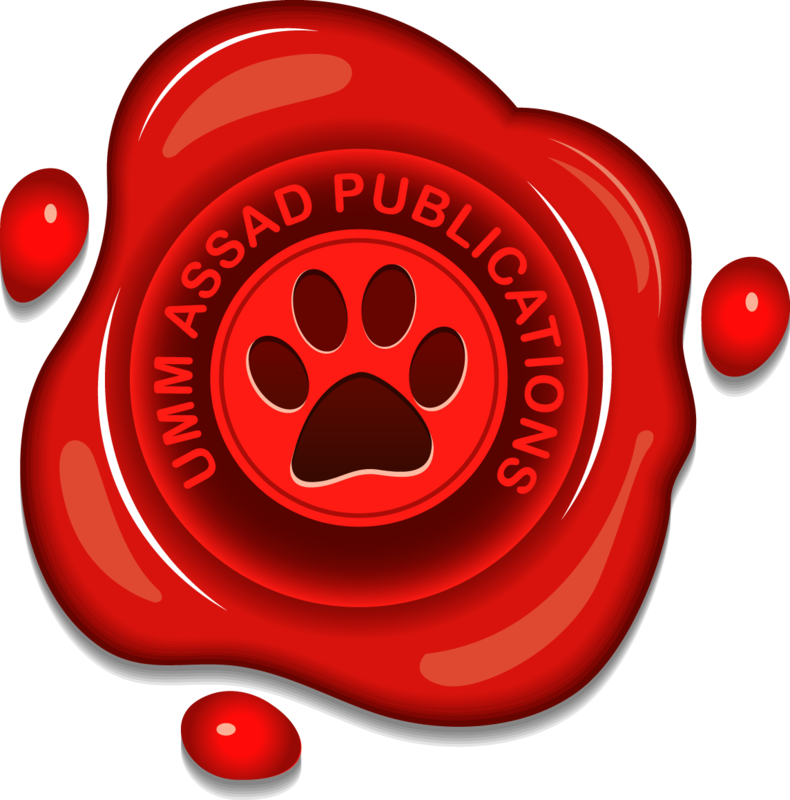 This folder is a copy of the original English ‘My First Curriculum’ (also by UmmAssadHomeSchool.com) and translated into the Classical Arabic language (اللغة العربية الفصحى). It has over 50 fun packed and interactive pages, covering all the basic subjects such as English, Maths, Science and even Geography! Some changes have been made to suit the Arabic language. Enjoy! Use the whole folder as Flashcards. Read the Arabic from right to left. Patience, Mercy, Focus and Dua! ‘My First Islamic Activity Pack’ is made by UmmAssadHomeschool.com and aims to help young children aged 4-8 years to understand themselves and the world around them from a pure Islamic point of view (only authentic resources from the Quran, Hadith and trusted Scholars have been used). It introduces the correct Islamic Aqeedah with fun yet challenging activities without losing the message; also nurturing a child’s belief and love for Allah and His Messenger and familiarising them to follow evidences. All topics included are based on Aqeedah, teaching the most beneficial knowledge (Islam) and asking questions that matter most such as ‘Who is you Lord’ and ‘Who is your Prophet’ and ‘What is your religion’. Explaining in simple terms the different types of creation and its purpose, thus leading into subjects such as Science and Geography. The activities interact with children at their level whilst involving parent/guardian or teacher; a range of activities have been packed to keep any child productively busy in their ‘spare time’ such as letter, number and colour recognition, guided reading, writing, colouring, eye coordination skills, fine motor skills, quizzes, wordsearch games and much more. A must have for any child beginning to study Islam. *This ‘Islamic Activity Pack’ is proof-read by Al-Madinah University graduate and student of knowledge Abdul-Hakeem @ibnmitchell. May Allah grant him success, Ameen! Print everything out on white A4 paper, put them into a folder. Read the instructions to your child on each page. Download the FREE Flashcards on pages 22, 23, 24 and 56. ‘Allah Is My Lord’ reading book for children. ‘My First Curriculum’ is a complete Toddler’s Curriculum Pack made by UmmAssadHomeSchool. With over 50 fun packed and interactive pages, this folder is sure to bring you and your children lots of joy and educational benefits throughout; Covering all the basic subjects such as English, Maths, Science and Geography. Print everything out, put them in folder pockets and then into a ring binder folder. We strive to produce FREE educational resources in order to benefit all those in need of educational materials for their children. If you would like to support our work, any contribution would be really appreciated, and allow us to continue producing valuable content for you and the wider world, inshaAllah. All donations go towards the production of this website and resources.